The tourists have several options to explore the scenic beauty of South Island. But many visitors prefer exploring the picturesque landscape of New Zealand by hiring a campervan. 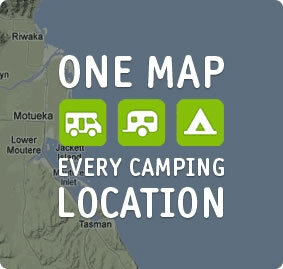 South Island based campervan rental NZ companies like Camperco also provide clean, comfortable and well designed campervans to make the camping adventure more fun and comfortable. But many visitors find it uncomfortable to sleep on the standard beds. You can always ask the campervan hire company to install a custom bed to make your sleep peaceful. However, you also have option to make the standard bed comfortable by using additional accessories like mattress pads, memory foam toppers and egg crates. You can even avail desired levels of comfort by choosing the right bedding. For instance, a heavy-duty and thick memory foam topper will make the standard bed more comfortable. You can even consider using mattress pads, egg crates and memory foam toppers combined to add more comfort. But it is also important to combine the beddings in a number of ways till you get the desired level of comfort. You can even consider adjusting the existing RV mattress to make it more comfortable. Like conventional mattresses, the trailer mattresses can also be flipped without any hassle. So you can simply flip both sides of the mattress regularly to ensure that each side gets same wear and tear. You can even avail the assistance of your family members to flip the mattress without putting any extra effort. You can further add more comfort to the existing trailer mattress by choosing the right type of sheets, pillows and blankets. A high-thread count sheet, for instance, can make the existing mattress much more comfortable. The high-thread count sheet can be further complemented with a soft blanket and sturdy pillows to make your sleep peaceful in new surroundings.